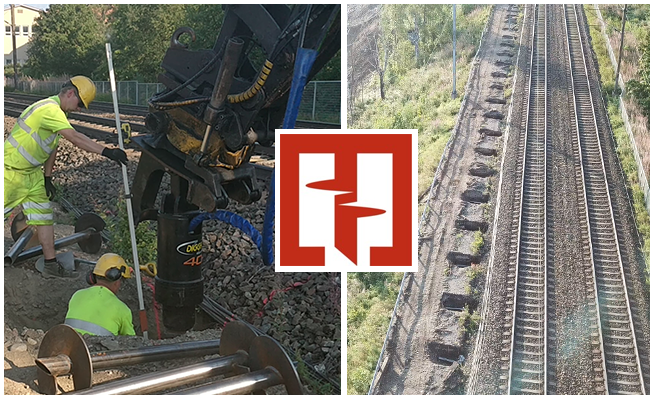 Paalupiste Oy recently used the Digga PD40 drive to install 600+ screw piles for railway noise barriers. Based in Finland, Paalupiste Oy have over 15 years of professional experience in screwing piles and are also one of Europe’s largest screw pile manufacturers. This particular job required the installation of over 600 screw piles for railway noise barriers. Utilising the Digga PD40 Paalupiste drilled directly into the track bed quickly with ease and no vibrations to the rail track. You can find more information about Paalupiste Oy on their Facebook page. Diggas PD40 drive are suited to 20 – 50 tonne excavators with a flow between 120 to 230 LPM. The PD40 is fitted with a quality Eaton hydraulic motor and Digga designed and manufactured gearbox. It is also available in a two speed variation.